Regardless of your business model, incorporating Facebook ads into your marketing funnel can be a dependable way to drive customers to your site and, ultimately, boost sales. The concept is simple enough: You target prospective buyers on Facebook with an ad. But when it comes to Facebook, the real key is how to create sustainable traffic—in other words, campaigns that will deliver traffic reliably month over month. With that in mind, let’s consider the various actions that you’d like site visitors to take upon visiting your site. Naturally, you want to drive site visitors who will buy your product after being served an ad. However, these “hard conversions” are typically the toughest sell—literally—to achieve, at least initially. You want your visitors to subscribe to a newsletter or fill out a lead form (which means they’ve opted in and given you their email, which will, in turn, give you more opportunities to reach them and get back them to your site). In this scenario, they’re not purchasing but they’re asking for more information about your company, your product, your services. Typically we use a number of different opt-in formats across the site. A retargeting ‘pool’ is a group of visitors to your site who we can target with various offers & messages. Retargeting is often cheaper than generating first-time visitors from traffic sources like PPC on Google Adwords and Bing, so if we can drive a large number of affordable visits from Facebook ads and then retarget those users again with Facebook ads, we can reach a broader audience of potential buyers with our given campaign budget. The tradeoff, however, is that these users convert less often than visitors from paid search campaigns. Our goal here is to drive relevant traffic from your target audience and get them to complete one of these soft conversions. 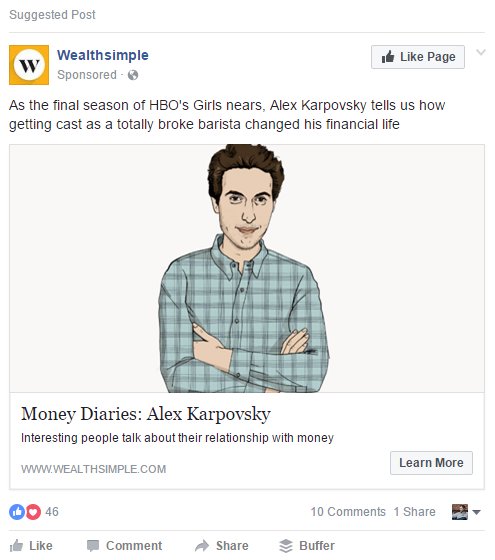 So – what kind of Facebook ads drive your audience to complete one of the goals above? The next question you need to answer is which type of Facebook ad is most appropriate for your goals. The answer could be both – and that’s the trick to using Facebook ads to generate continual traffic, not just occasional bursts. Our real goal is to drive lots of visitors to our site who fit into our target audience, turn them into an email subscriber or add them to our retargeting pool, and then attract those visitors back to the site with sales messaging in order to produce an actual lead or sale. Let’s look at some examples of each type of ad. Remember when I mentioned the concept of showing off some of your recent press mentions? 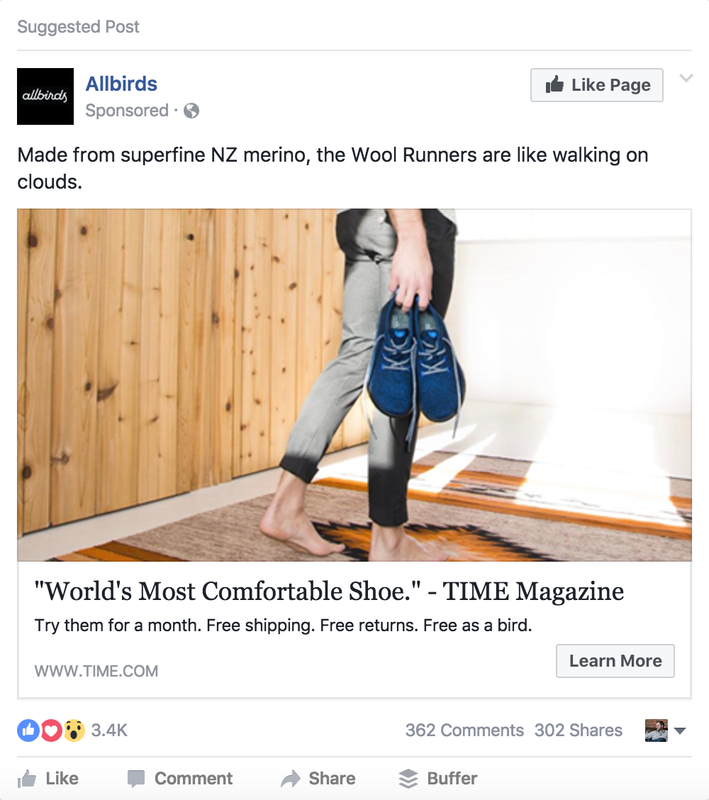 Here’s a good example of a shoe company called Allbirds, showing off a quote they received from Time.com. And in this case – they’re actually sending traffic directly to the article on Time’s website! If it’s a long sales cycle, such as an enterprise software purchase, your best approach might be to keep showing them unique aspects of your product. 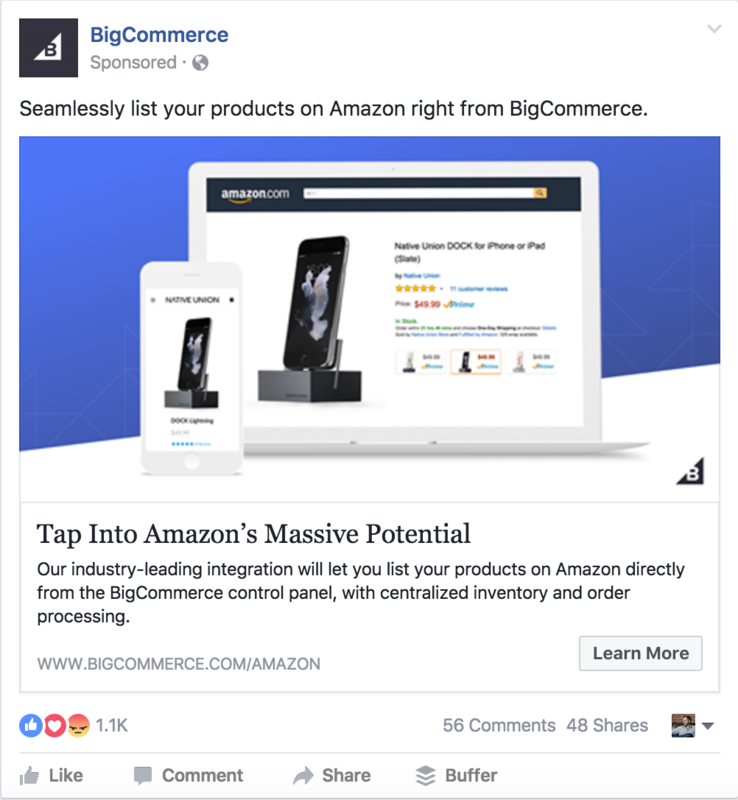 This example from BigCommerce shows off one of their product features that are likely a selling point for eCommerce shop owners who want to sell on Amazon. It’s a pretty simple premise: Pick whatever is the next thing you’d like them to do—sign up for the newsletter, download a whitepaper, submit a contact form, buy something, etc.–and create an ad that gets them to the site and encourages them to complete that goal. Once the user makes it to your site, it’s important to give them options once they’re there: a free download, a coupon, or something else that’s valuable to them. And remember, target tightly: you want to identify audiences closer to 5,000 or 50,000 people, not a million people. Remember: you don’t have to exclude people who don’t purchase from your ad campaign. 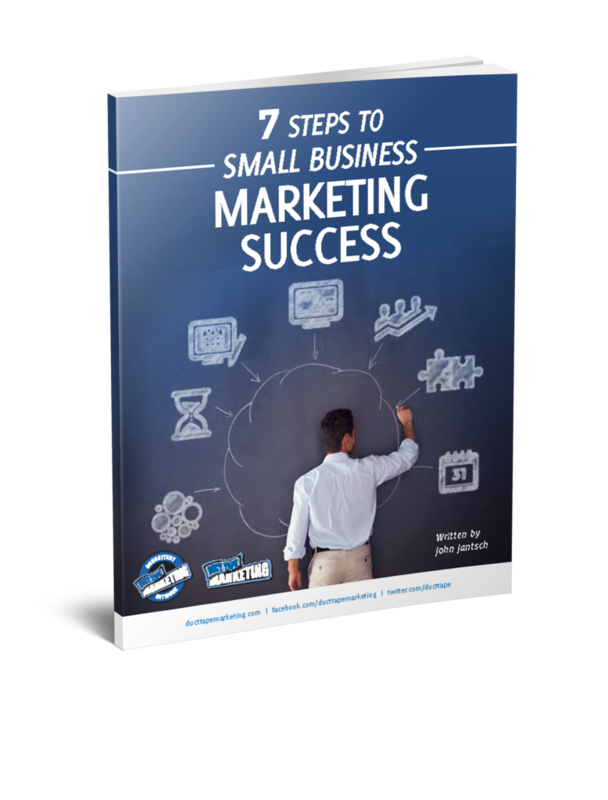 Some studies say that it takes 7-10 visits to a site before making a sale. It really depends on your business category and its customer base, so it’s important to know your customer’s buying process—which means researching and testing, testing, testing. What Do You Do After They’ve Been To The Site Without Purchasing? Ok, let’s assume you’ve driven some good soft conversions from a blog post you promoted. You’ve got your ideal buyer to your site and they’ve given you their email (most likely because you offered up useful information about a topic they’re interested in). Your job just got a lot easier, and you’ll continue to send them info, discounts, a newsletter – whatever it is that they’ve opted in to receive – and prioritize actually getting them to buy. I highly suggest having a drip email campaign in place so that they’re not waiting for you to send your next email. Let’s focus then a bit more on the second-best scenario if they don’t join your email list, retargeting because it’s a super important and cost-effective way to reach your audience. Think about it: They’ve already self-selected to check out your website based on a Facebook ad you showed them. And since Facebook clicks are all over the place price-wise, you now also have the ability to retarget them in places they’ve chosen to be, or in other affordable ways, like via a Google Adwords retargeting campaign. 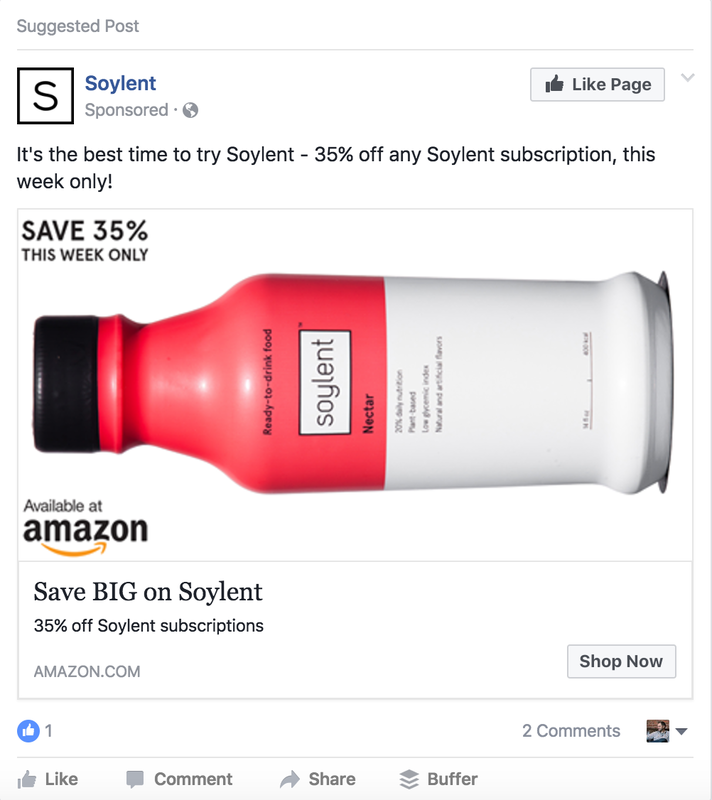 How do you get the brand in front of them a bunch of times after they’ve seen the Facebook ad and, consequently, visited your site? Simple. You retarget based on what page or services a prospective customer looks at on your site, generally a specific URL or a set of URLs. Often, while retargeting, you may run multiple simultaneous campaigns directed at the same customer. Suppose you sell outdoor gear and your intended customer visited the “Camping Tents” eCommerce category of your website. What are your options to get your brand in front of them through retargeting? You could serve up an ad to them on a general tents page on Amazon, on a tents sale page, or on a page displaying a particular model of tents. Basically, the more they click, the more you learn about what they’re specifically looking for via the pages they visit, and you can follow-up with ads that get more granular as they dive deeper into your site. For example – if they spent a lot of time on a specific product page, you may want to show ads for that exact product, whereas if they only looked at the category page, you may want to show them a general ad for all products in that category. The trick here, of course, is to test out which approach works better for your customers. 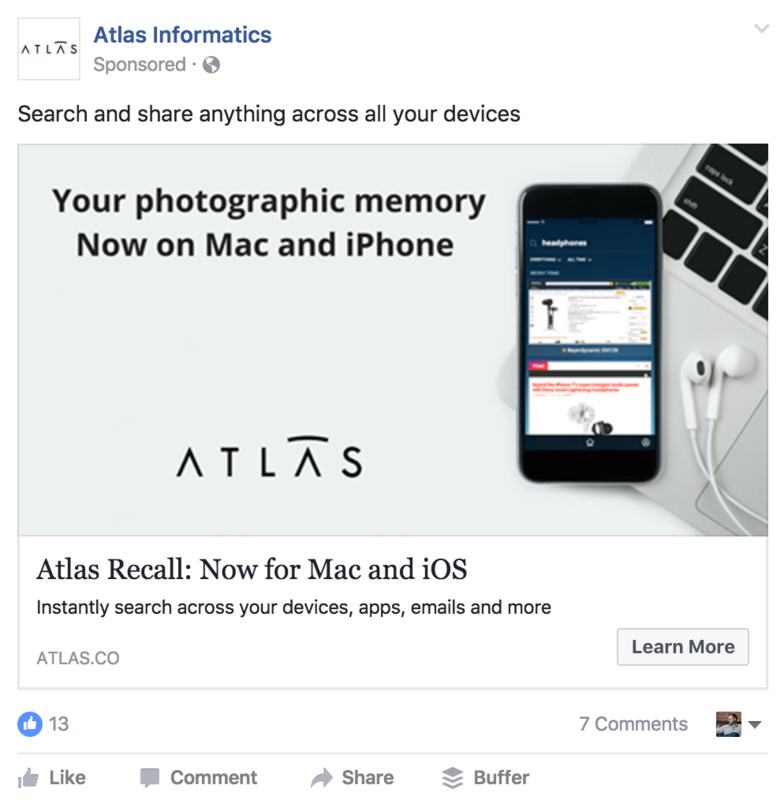 The Bottom Line: Facebook advertising isn’t a big mystery, but it does take an understanding of your customer base and a concrete goal with the appropriate messaging to achieve it. It may take some research into your category or some testing of different types of ads to figure it out, but that extra legwork should pay off and turn Facebook ads into a sustainable, profitable part of your business. 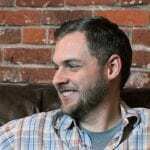 Kane Jamison is the founder of Content Harmony, a content marketing agency based in Seattle, WA. Content Harmony specializes in working with eCommerce and software companies to build comprehensive content marketing programs that acquire, engage, and convert potential customers.